You are planning a trip to Murano and are gathering information before you go. Naturally, a Murano glass factory tour would be the perfect way to learn about Murano’s famous trade. 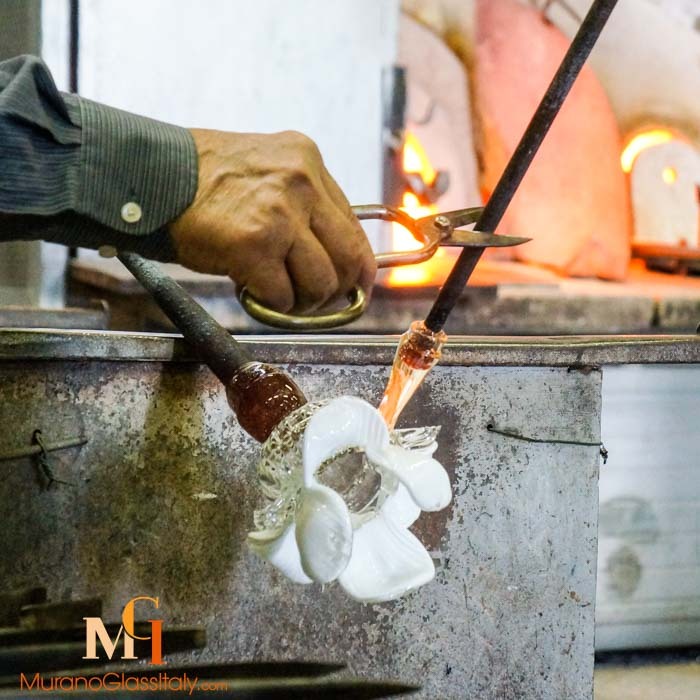 To help you get the best experience, listed here are the “dos and don’ts” of attending a Murano Glass Factory Tour. At the end, there will be pressure to purchase an item to thank them for the “free tour”. But, their shop will have inflated prices disguised as bargains. There is no harm in attending these “free tours”, but as experienced Murano travelers we offer this one advice: Don’t let a salesperson beguile you into buying over-priced glass. Make your own comparisons and reflect well on your purchases. 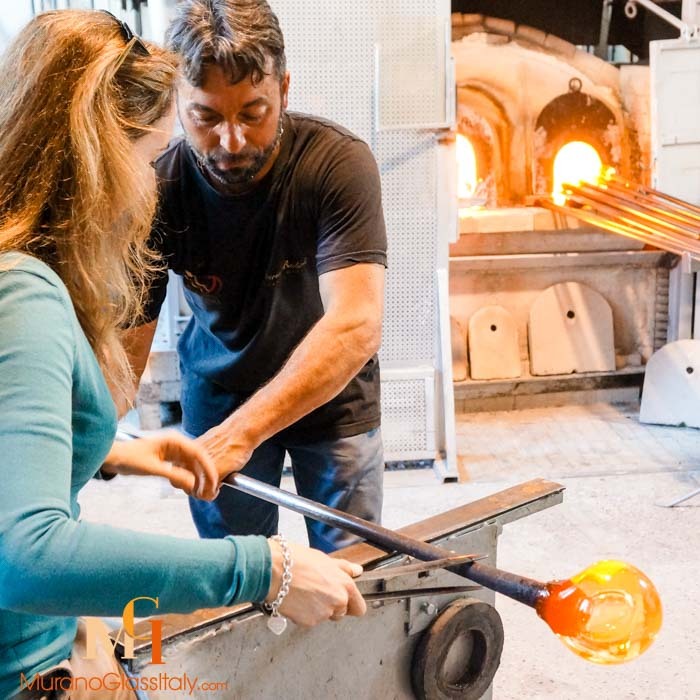 There are great Murano glass factory tours if your funds allow you to reserve a guide. Paid guides will take you to see more and educate you along the way. On average, tours start around 30€ per person. Private tours will be a bit more. With paid tours, you will have a very pleasant experience. You can witness a full glassblowing demonstration. See how the delicate art is made. Some tours even allow you to participate and take your creation home! For these reasons, a paid Murano glass factory tour is the best way to immerse yourself in the Murano culture. Find the tour that fits your interests and budget. Don’t risk having a poor experience in such an extraordinary place. Do your research and read reviews. Some paid tours are still looking to trap you in one glass factory to encourage you to buy their glass before you see what else is out there. Make sure you discover all of Murano and not just one shop. Tours are a great way to see the island, but if you don’t have the budget, there is nothing wrong with touring the Island of Murano on your own. This way you can guarantee you see exactly what you want. Visit the glass factories that are open to the public. You will easily find them since there are more glass foundries and shops than cafés in Murano. Getting to Murano is painless. Take Venice’s public transportation system, the Vaporetti. Read our article Venice to Murano for details on how to get there. After your trip to Murano, you will have an idea why owning an authentic and certified Murano Glass artwork is so coveted. Of course, you will want to take home a souvenir; but even in Murano, you will need to be conscious of what you are buying. Be sure your purchase supports the local Murano artists by buying genuine Murano glass artwork. True Murano glass increases in value over time, but unfortunately, there are counterfeit artworks sold on the island from China and the Czech Republic. You can either take the risk or you can purchase through a trustworthy source. Did you know that you can buy Murano glass artwork online at the best price on the market? Thanks to a unique collaboration with Murano glass masters, MuranoGlassItaly.com offers high-quality, certified, Murano glasswork online at the best price on the market. What’s more, you can see exclusive pieces online the Murano glass artists don’t put in the shop window, and find the one unique to you! Don’t see what you like, or have something specific in mind? We can create a custom piece for you. Guaranteed genuine and authentic. Be a smart shopper, get the best value for your money and shop online.